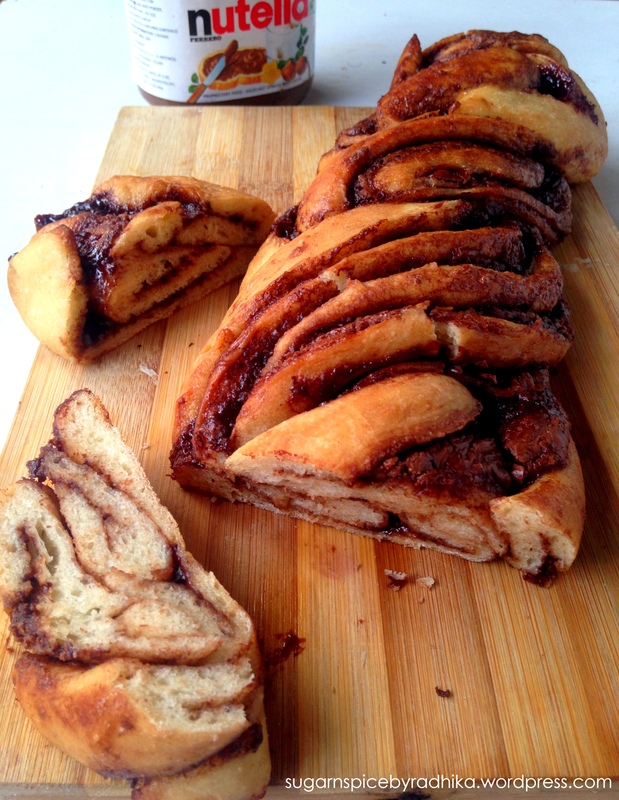 The perfect breakfast bread is for all the Nutella lovers out there! 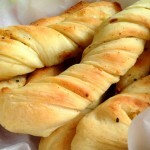 Also learn how to easily braid bread with visuals! 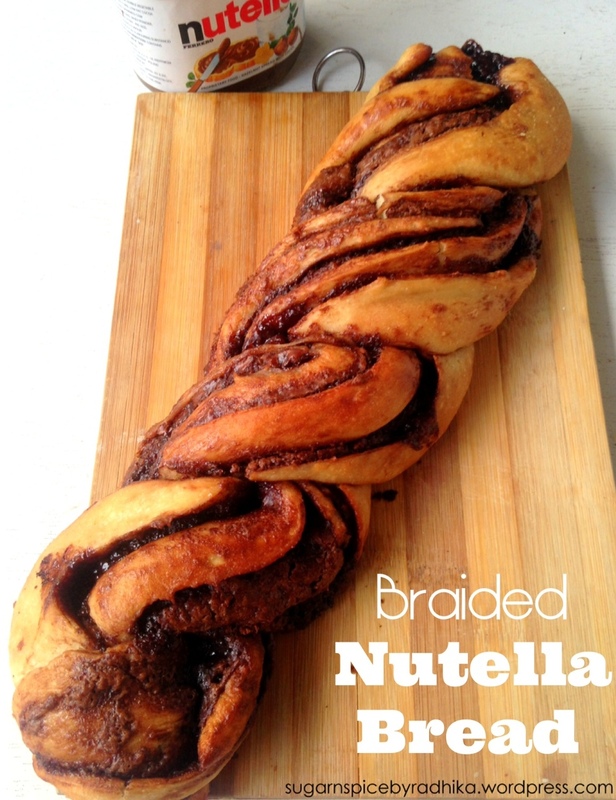 This Braided Nutella Bread is a blessing for all the Nutella Lovers! 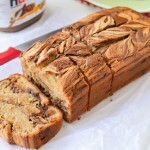 This crisp on the outside and soft and chewy on the inside bread serves as a perfect breakfast, slathered with some more Nutella on top. 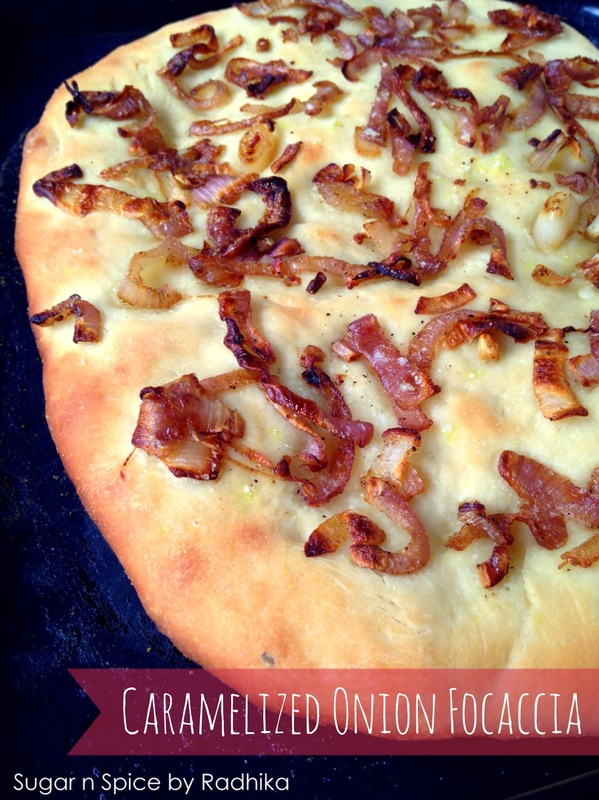 Don’t worry if you’re afraid of working with yeast because I have plenty of visuals to make bread making easy for you! I was dreaded by the thought of making breads and the first time I made one it was complete disaster but I didn’t give up! 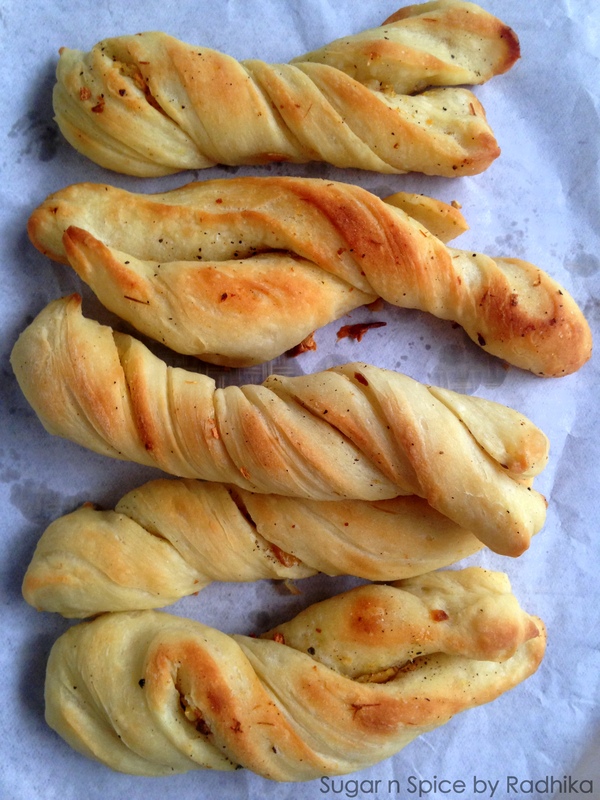 I tried again and this time followed the recipe precisely and I made the best Garlic Breadsticks in the whole wide world. 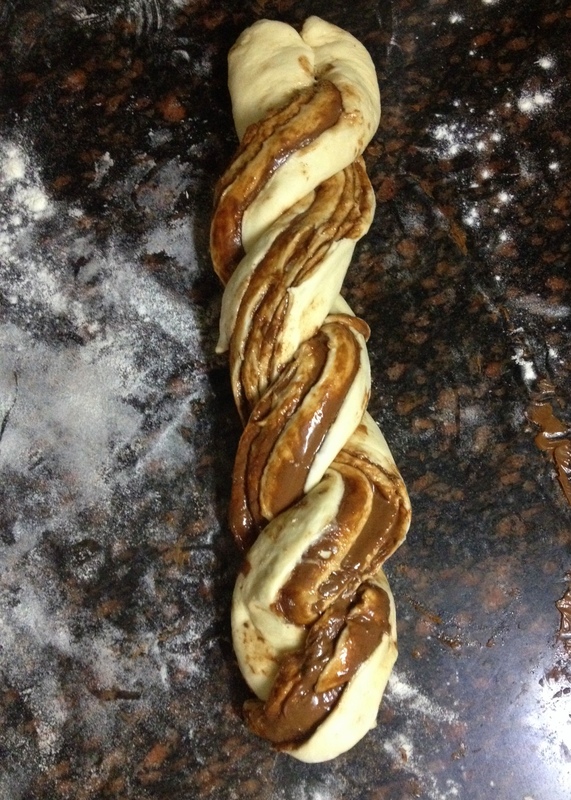 Bread making isn’t difficult or complex as it is normally perceived to be. It is actually quite relaxing and once you get the hang of it, quite easy too. 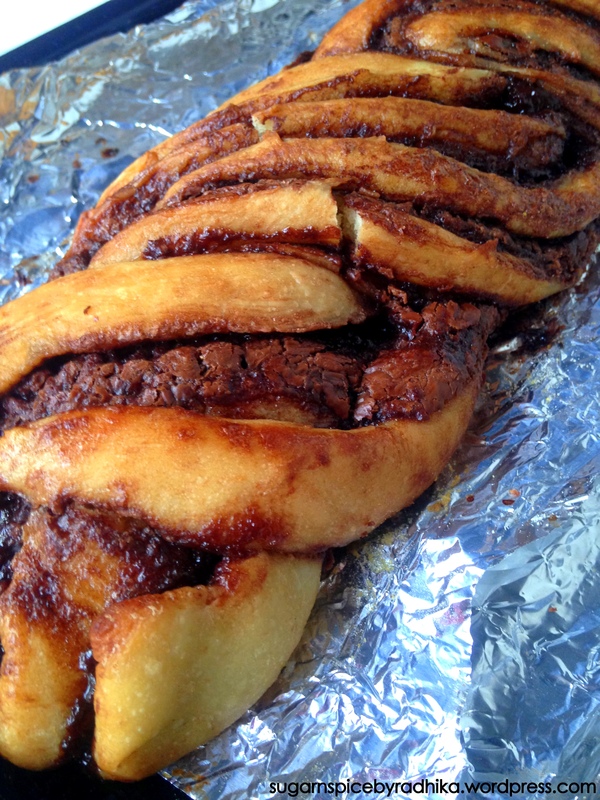 This braided nutella bread was quite easy to put together, once my dough was ready I just had to roll it, slather nutella on top of it, roll again, braid and bake. 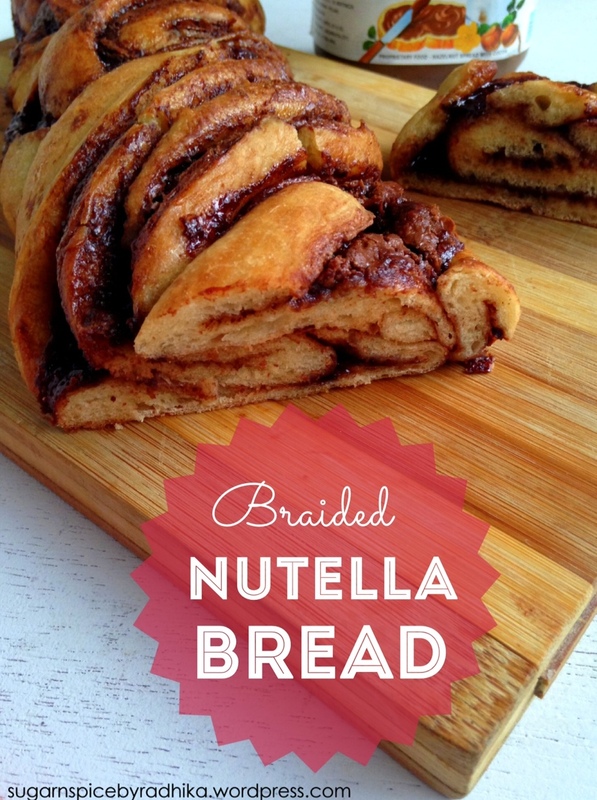 This braided Nutella Bread has been trending on pinterest for quite sometime now so I was bound to try it and I’m so glad I did. 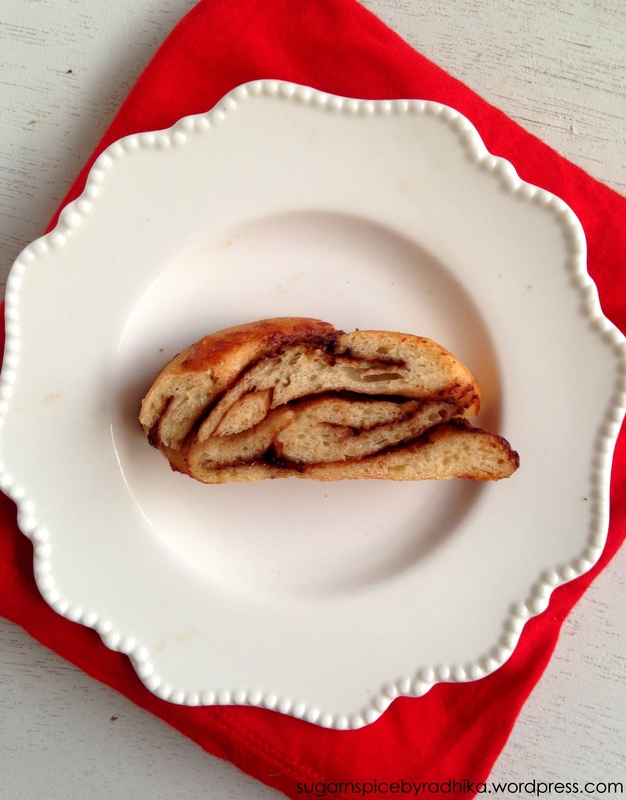 Crisp on the outside and chewy in the middle, it has everything you could want from a loaf. Add 1/2 teaspoon sugar in 1/4 cup warm water and mix until combined. Sprinkle yeast over it and mix. (The water must be lukewarm to touch, too hot will kill the yeast, too cold and the yeast won’t wake up; to make sure the water is the correct temperature insert your finger in it. If it feels warm but you can comfortably keep your finger in it then go ahead otherwise wait for it to cool down). Cover tightly with cling film for 10 minutes and wait for it to get foamy. 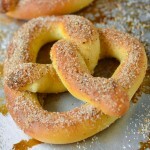 In a bowl mix together flour, salt, remaining sugar, yeast water and remaining water and form a dough. Knead the dough for 7 minutes on a lightly floured surface until it because springy to touch, meaning if you poke your finger in it the dough will bounce back slowly. 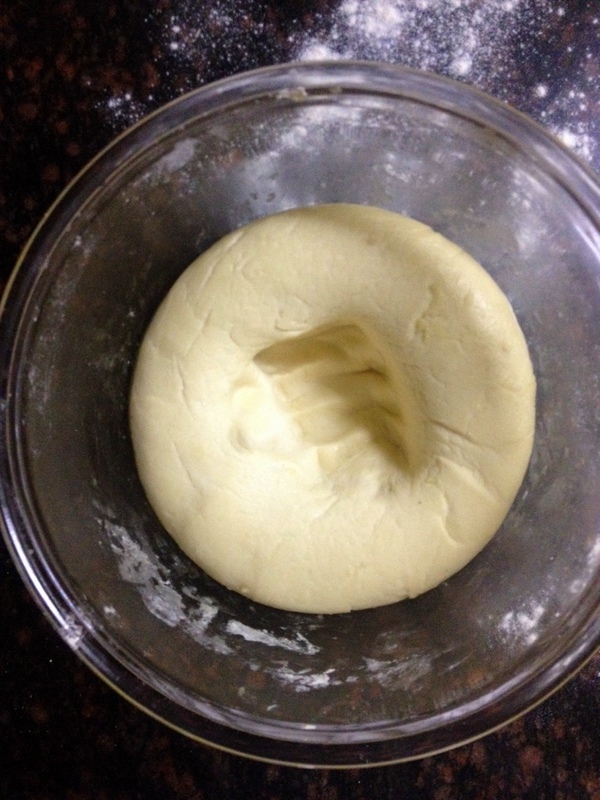 Place dough in a lightly oiled bowl and let it stay in a warm place for 1 hour or until it doubles in size. For a warm place, you can preheat your oven for a couple of minutes and place the bowl in it. 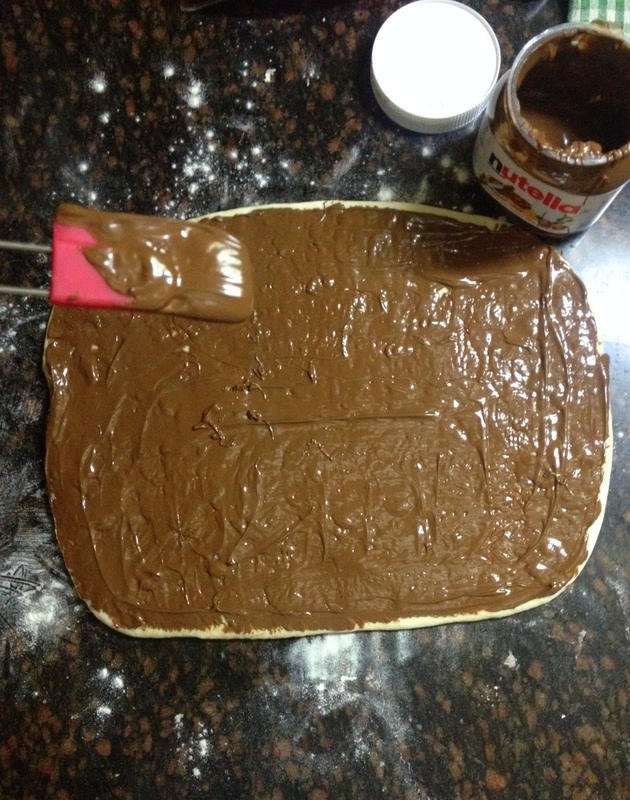 Once the dough is ready, roll it out to a 12×15 inches rectangle and slather the top with Nutella using a spatula. Use enough to cove the top but not too much. 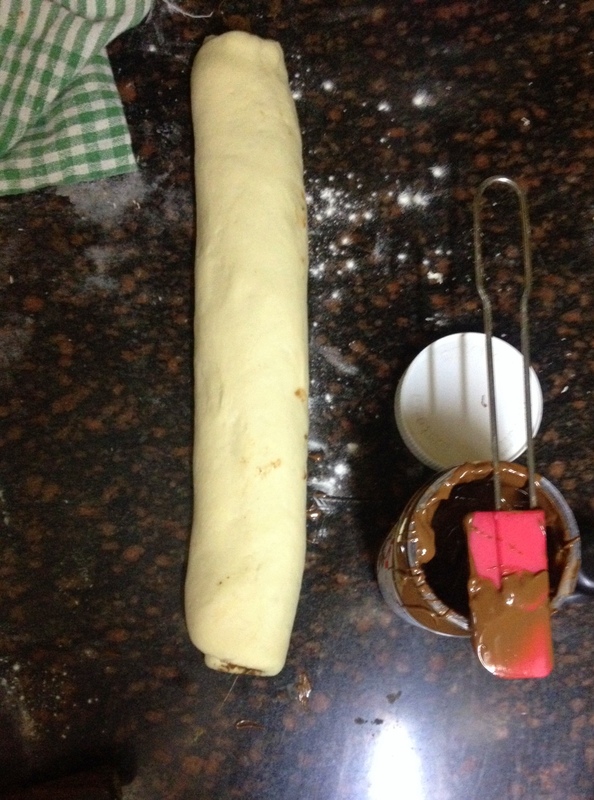 Start rolling inwards from the longer side and form a tight log. Transfer the log to your baking tray (lined with foil or parchment paper) and cut the dough down the middle leaving one end intact. Twist end over each other and make sure to turn the cut side on top. 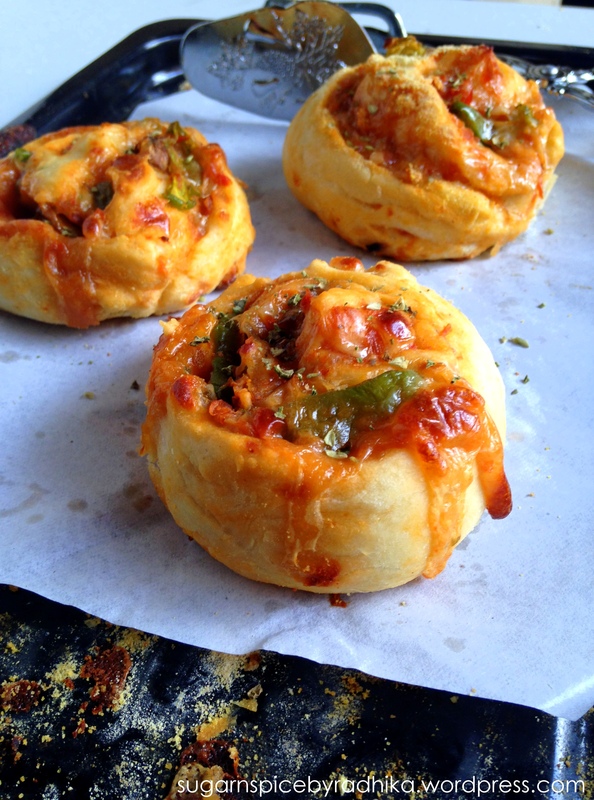 Cover dough loosely with cling film for 20 minutes and let rest in a warm place. 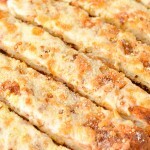 Uncover the dough and brush generously with milk+butter. This will help in browning the top evenly. If you don’t mind eggs, then beat an egg and brush the top with it. Egg wash is the best option to get even browning and shine on top of the loaf. Preheat the oven to 200 degrees Celsius (for 5 minutes in an OTG) and bake the loaf for 20 minutes (at 180 degrees Celsius). Enjoy hot with tea or coffee! 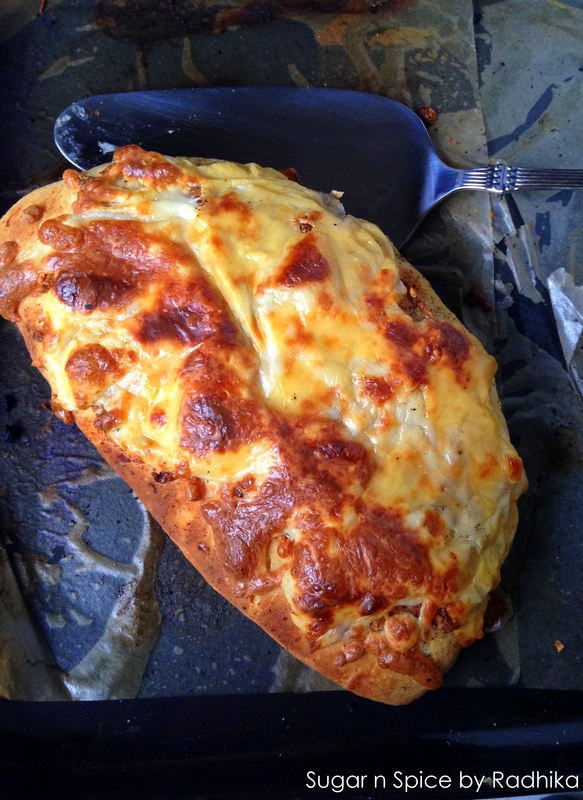 If you’re storing the loaf in the refrigerator, then heat it in a microwave for a few seconds before eating! 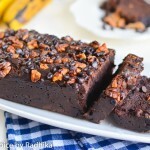 This recipe has been adapted from Inspired by Charm. Thank you Elaine! It was really amazing! The person who came up with the idea was a genius ! 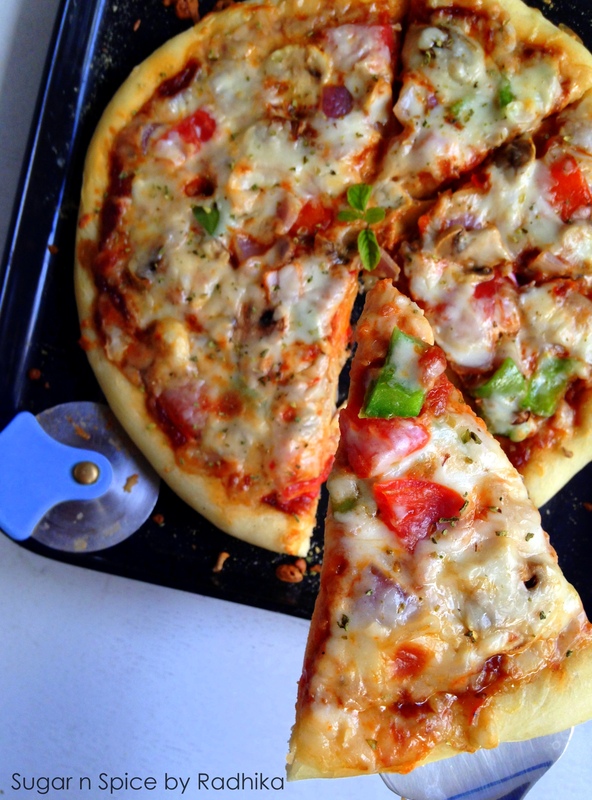 It was really yummy and really easy to put together! Let me know how you get on..
P.s. 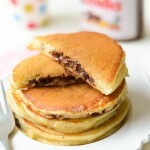 You might have to melt the Nutella in the microwave for a few seconds to make it spreadable! 🙂 I always keep it on the kitchen shelf! Haha yup I am 🙂 have had too many incidents with fungused jars! Refrigeration it is 🙂 going to give this a shot for sure! This looks like something I would love! Thanks for sharing! that looks great! how can i make it “rise” more ..i’d like a fluffier bread? What about the cornmeal? Where’s it used? 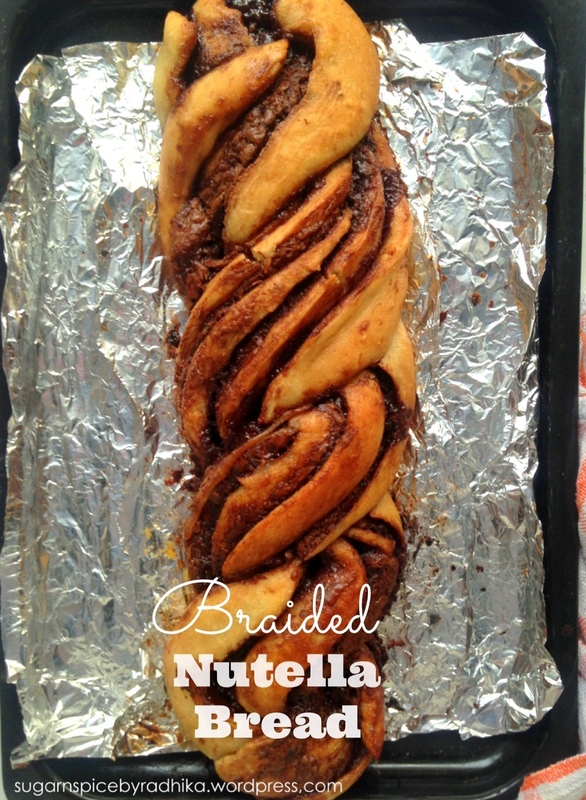 Should I use it the way it’s been applied here:-http://www.inspiredbycharm.com/2013/09/braided-nutella-bread.html ? Cornmeal will be used for dusting. I guess I forgot to mention that in the recipe. My bad. 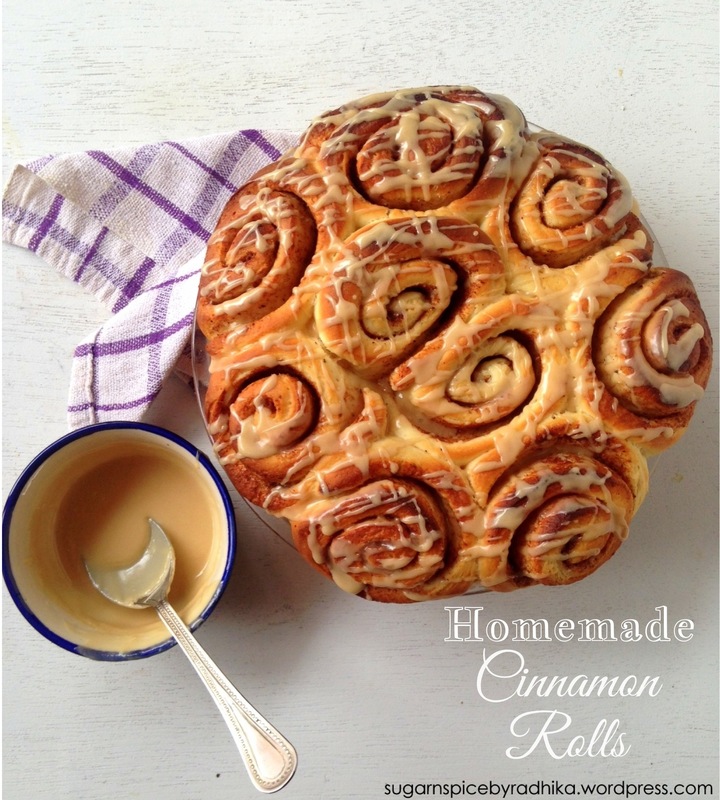 Sprinkle it on your baking tray before transferring your bread. So that’swhy this piece of writing is great. Thanks! Great to have to have you on my blog! 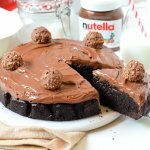 Can we yse Self Raising Flour instead of Flour and yeast? Hi Lisa! Unfortunately, no! 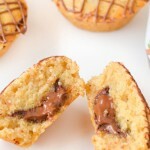 Self-raising flour only has baking powder which won’t help it rise as much or give it that crunchy exterior.